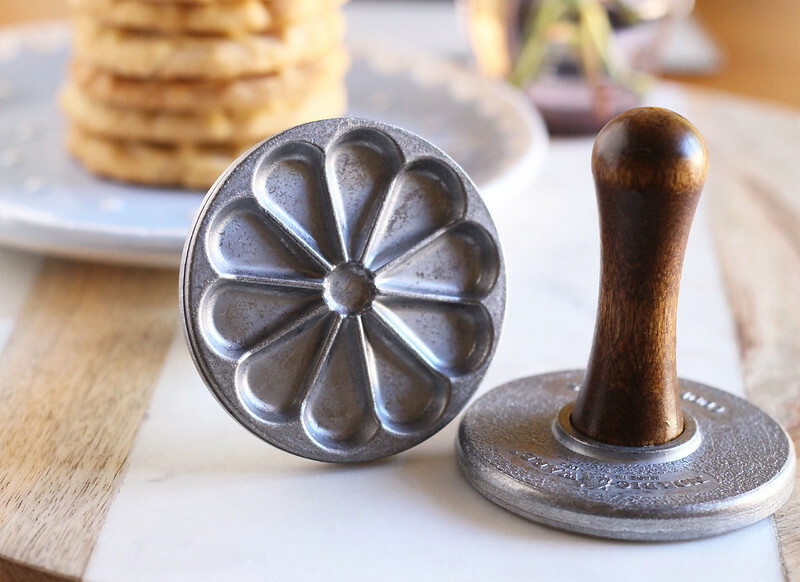 Last week I found myself browsing around the kitchen gadget aisle of my favorite store where I discovered two Heirloom cookie stamps on the clearance table. I wanted to know more about this clever gadget, so I grabbed my iPhone and Googled it, reading through the reviews. A set of three normally sells for about $25.00, but the cookie stamps I had in my hands were just $0.99 each. The manager researched it on his computer for me, and said, yes, that was their price. Such a bargain, right? It’s possible these two cookie stamps came from a broken package, or maybe someone really made a mistake pricing them. I don’t know. But I do know that I felt like this lady . I made sugar cookies with this recipe, but I wasn’t quite pleased with the look of them. So I tried the following recipe, and the cookies turned out great. 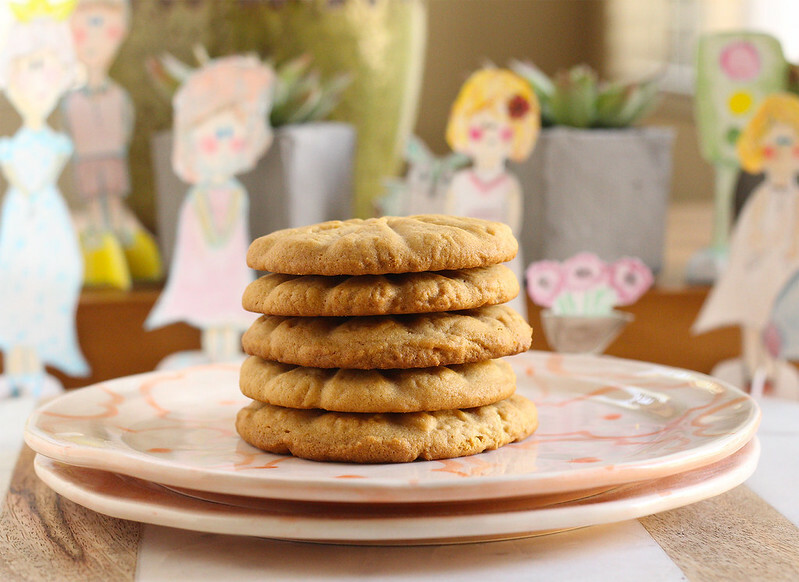 Use an aluminum cookie sheet without parchment paper. Yes, you heard right. This allows the cookie dough to stick slightly to the cookie sheet, and when you wiggle the stamp away from the cookie dough, the dough doesn’t come up with the stamp. You’ll see what I mean if you try making this. Practice patience. The first couple of cookies may be a little rough-looking, but you can call them rustic cookies, and no one will know. Enjoy! 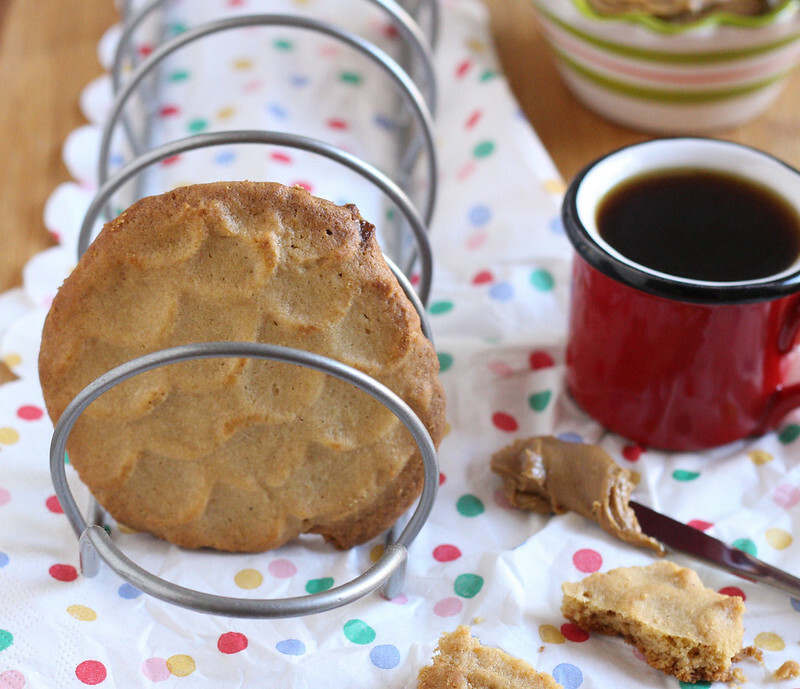 Beat butter, sugars and peanut butter with an electric mixer until creamy. Add eggs, vanilla, flour, baking soda, baking powder and salt. Beat well, scraping down the side of the bowl. Beat for about 1 minute. Roll tablespoonfuls of dough into balls onto ungreased baking sheets and use the cookie stamp to press each ball once. Don’t forget to wiggle the stamp away from the cookie dough. Bake 12 minutes or until light brown. Remove from oven and transfer to a wire rack to cool.